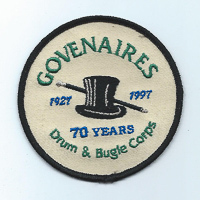 The Govenaires Drum and Bugle Corps, formed in 1927 as the St. Peter Legion Corps, is a senior marching, maneuvering, and parade corps based in St. Peter, Minnesota. 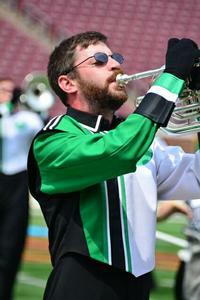 The corps colors are black and white, with green sashes. The corps went inactive in 1938 as the United States became more involved in World War II. In 1944, under the direction of Cliff Hermel, the corps was reactivated and went on to win many state and local VFW and American Legion titles. 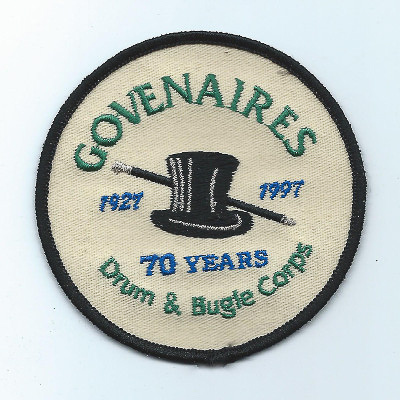 Other successful Minnesota drum corps during the 1940s and 1950s were the Laidlaw American Legion (now Minnesota Brass, Inc.), Chisholm, Sleepy Eye, Litchfield, Faribault, Chaska, Pine City, Mankato, and Austin Legion, as well as the Hamm’s Indians, the Golden Valley Raiders, St. Paul Scouts, and the Mapleaires. In the late 1950s, when the St. Peter Legion went bankrupt, Cliff Hermel bought all the corps’ equipment, allowing the group to continue to operate as a senior corps. During this period Cliff and his wife Katie also created two junior corps, the Black Knights for members 8-13 years old, and the Crusaders for members 13-21 years old. 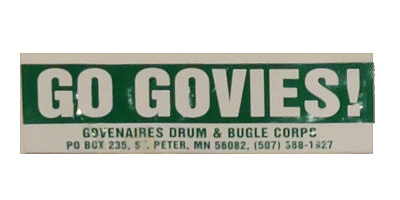 The St. Peter Legion officially became the Govenaires in the late 1960s to honor the five governors of Minnesota who hailed from St. Peter. By 1975, the Crusaders and the Black Knights had folded because of the toll that the Vietnam War was taking on their male membership. 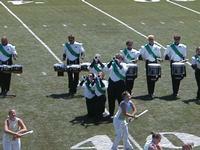 Up until this time women were not allowed in these drum corps. Women were first welcomed into the Black Knights in 1966, although Margaret Mayer was an unofficial member for an entire year before that. 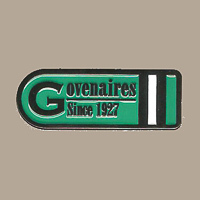 In 1976, the Govenaires was chosen to represent Minnesota at the National American Legion Convention in Seattle, again at the 1977 National Convention in Denver, and again in 1985 at New Orleans. They did not compete at these appearances. 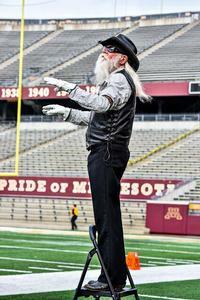 Important names in the corps’ history include Bill Stangler, Bob Friedman, Pat Mayer, Greg Anisted, Stu Hanson, Nancy Hanson, Bill Wencl (who started the Jesse James Gang in Northfield), Don Freid, Mike Mayer (who started Chop Stix percussion line in 1991), Nick Rosa, Lars Wach, and John Mayer. In the new century, the Govenaires appear in many civic parades and competitions throughout southern Minnesota and the Midwest, in addition to performing many acts of good will in the St. Peter/Mankato area. 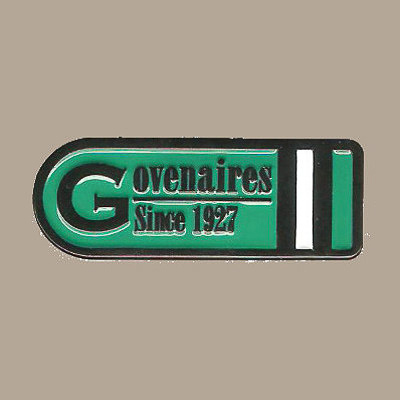 The Govenaires are active members in Drum Corps Midwest, and have consistently been one of the top corps in their division. 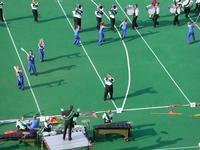 In 2003, The Govenaires received second place overall in the Senior Division at the Drum Corps Midwest Championships.